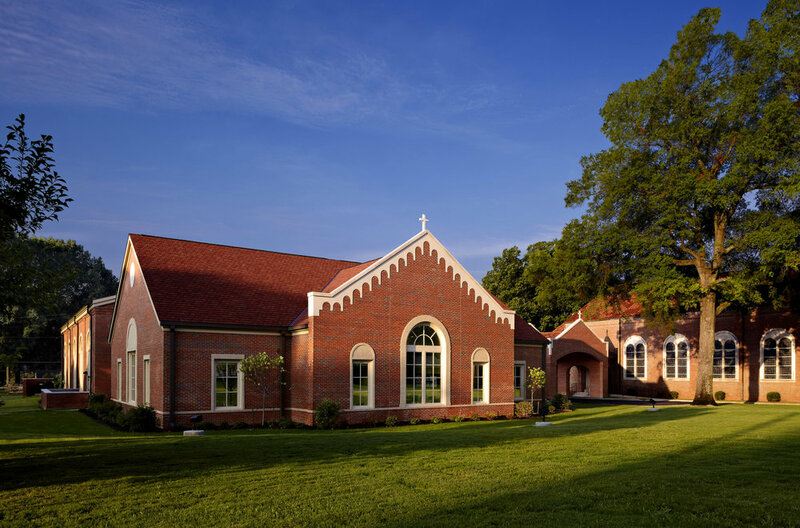 In Phase One of the master plan for Holy Rosary Church, careful consideration was taken to design a Family Life Center with a covered walkway and porte-cochere as a seamless addition to the existing church. 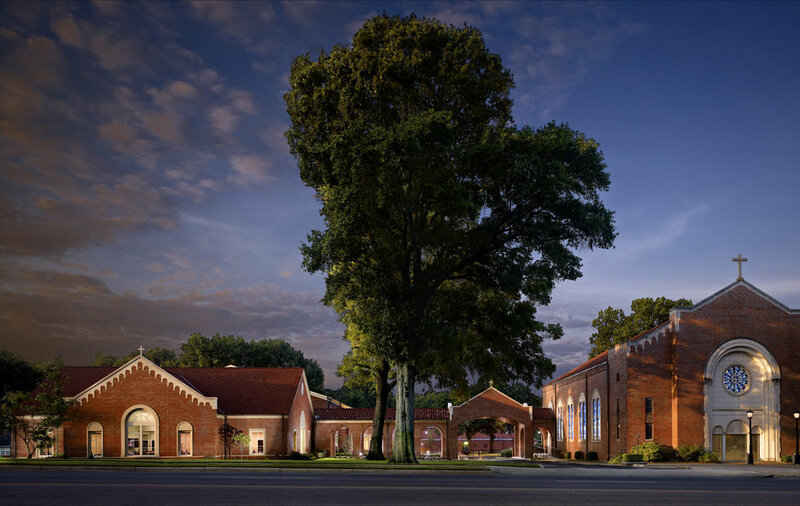 The design is in keeping with the established Romanesque language of the site by repurposing elements of the demolished parish house, including clay roof tile and limestone portico columns. The new building anchors the prominent corner, yet does not overshadow the sanctuary building. Set back farther from the street, the new building allows the sanctuary to retain its hierarchy on the site. The 16,300 square-foot single-story construction includes administrative spaces, gymnasium, kitchen, youth room, and restrooms. The exterior covered walkway and porte-cochere total approximately 1,500 square feet and connect the Family Life Center to the existing sanctuary.